“One thing I love about St. Michael's is the infinite possibilities offered for academic and spiritual creativity. St. Michael's is also the first place I learned to put my faith into action: our school truly embodies a spirit of service. Perhaps most importantly, teachers, staff and coaches here are deeply passionate about what they teach, and that is why I am so thankful that my parents sent me here, and that I now have a chance to return the favor,” said Dennis. 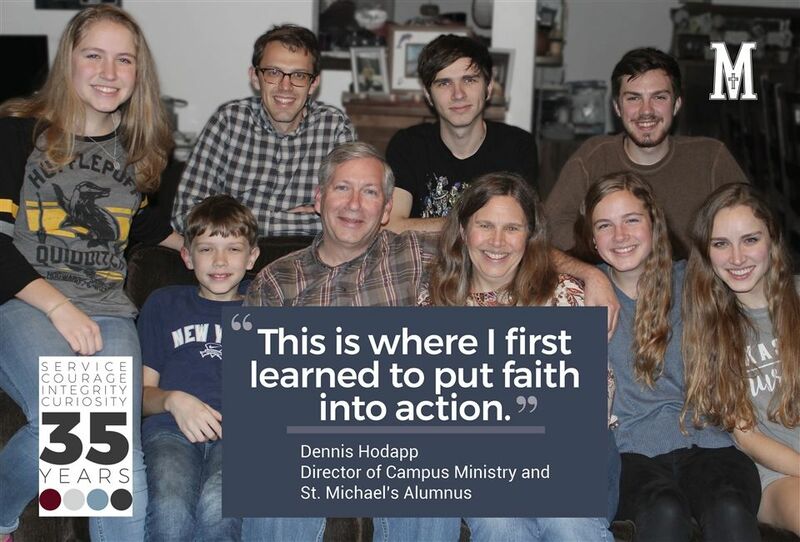 From founding board members and their children to alumni who return to teach, coach and volunteer, the St. Michael’s community is truly blessed with a unique kinship.